What force deformed this small moon? The gas giant planet Uranus is lying on its side, along with its moons and rings. Instead of Uranus orbiting the Sun with its equator in the plane of the ecliptic, its axis is offset from the vertical by 97°. There are a few tiny moons that revolve around Uranus in the plane of the ecliptic, circling from pole to pole, but they are moving in a retrograde orbit. It is not known why this is so. Planetary scientists think it is because they were "captured" by Uranus. It is not an unreasonable hypothesis. 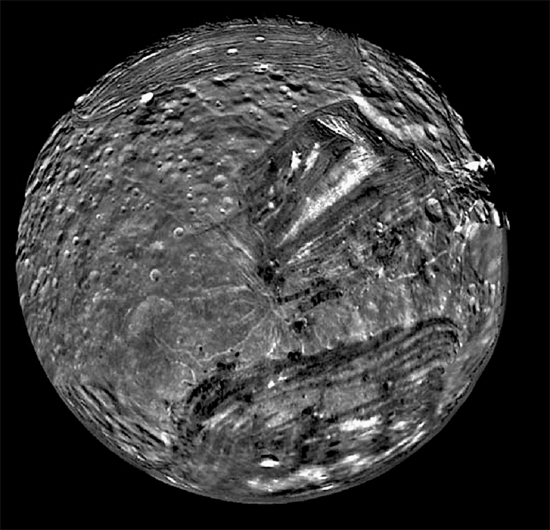 Recently, a current sheet was found connecting Uranus with its moon Miranda, revealing an electric circuit within the Uranian system. In fact, the magnetosphere of Uranus is wide enough to encompass its entire system of moons in an electric field. Miranda is the most heavily contorted of all the moons in the Solar System. 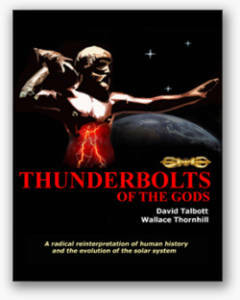 It is so damaged that many scientists once thought it had been virtually destroyed more than once in its history. Some speculations suggested that it had been blasted apart and gravitationally reassembled five times or more. A major problem with that theory, and the one that caused investigators to finally dismiss it, is how Miranda could remain in its circular orbit after being blown apart multiple times. Another hypothesis proposed that Miranda's icy surface melted and refroze repeatedly, obliterating craters and forming the giant cliffs that rise more than 14 kilometers high in some places. Since it is so cold on Miranda at -187 Celsius, one wonders where the energy came from that produced heat sufficient to melt megatons of ice. A computer generated flyover of Miranda shows how deeply carved it is. Canyons and ridges dominate its surface, with several large craters. One such crater is almost 25 kilometers in diameter. Miranda itself is only 472 kilometers in diameter, so the crater's large size is somewhat of an anomaly. 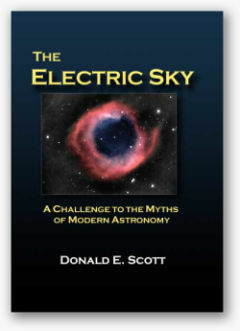 In an Electric Universe, electric forces create planets and moons and circularize their orbits. One result of those creative forces is electric discharges that scar and gouge their surfaces with ridges and rilles. 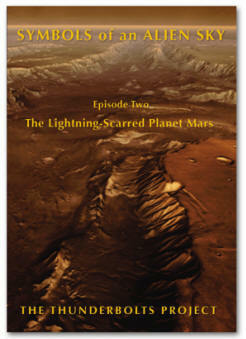 The plasma arcs make craters in some areas and not in others, so there is no need for many events. It is possible that all the features on Miranda were generated in a single episode. There has only been one visit to Miranda, and that was more than 20 years ago. The New Horizons spacecraft will cross the orbit of Uranus on March 18, 2011. Unfortunately, it will not have a view of any moons. 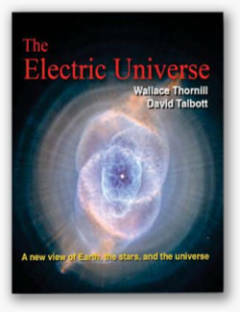 Both consensus science and Electric Universe advocates will have to wait for quite some time before more in situ observations can be made.